Whether you raise mice for fun, laboratory use, reptile food or show, it’s important to consider how long you house them together. Unless you want to be overrun, you’ll need to keep the boys and girls apart; fighting among adults is also a consideration. Keep track of their ages and when your females give birth. Also, know if you have mice that can get along or if they'll fight every chance they get. One method of keeping mice involves pairing a male and female together in a permanent, monogamous relationship. In this setup they can be placed in a cage together and don’t need to be separated at all. The male is present during the entire pregnancy as well as the birth of the babies, called pups. The adults will rebreed almost as soon as the pups are born. The babies must be removed before the new litter is born, typically when they are about 21 days old. A mouse community, or harem, consists of a single male and up to four females. These mice can be allowed to live together until one or more of the females shows signs of being pregnant. At this point it’s best to either remove the male and leave the pregnant females or remove each pregnant female and place her in a cage of her own. The mice should remain separated until the pups are weaned, after which they can be returned to the community cage. Mice are usually weaned when they are 21 days old, but if the mother isn’t pregnant again, the pups can be left with her an additional week. Once the babies are weaned they should be removed from their mother’s cage and placed into separate housing. At this age all the male pups can be housed together as can all the female pups. Females can get pregnant at six weeks of age; males can breed by the time they are eight weeks old, so be certain you have them separated well before then. 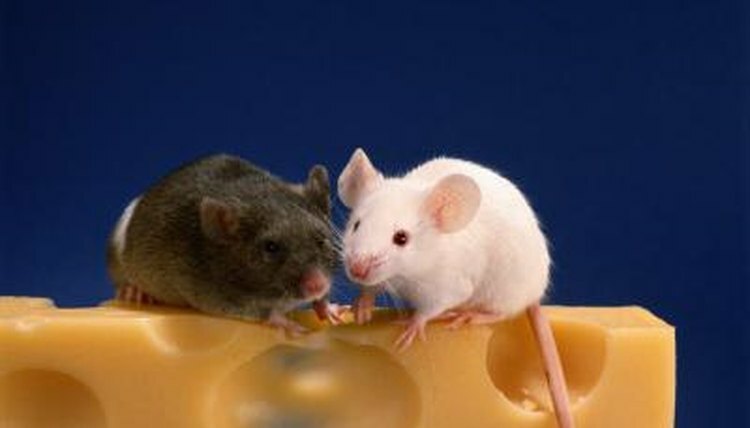 Adult female mice typically get along well and don’t fight with one another, even if a new mouse is added to the group. Adult males can be left together if they have been housed together from the time they were young. Once a male is sexually active he will fight any new male he encounters, often battling to the death. Any new males or males used for breeding should never be housed with other males.